Why participate in a mock draft? This is your first time participating the fantasy football league in the office, and you have no idea what to expect in the draft. Participating in a mock will help you prepare and start your seasons off right. You want to get a sense of which players are more valuable during specific rounds, so you’re not wasting your second round pick on a kicker. Seeing how draft position impacts your choice will keep you from missing out on a good QB in the 5th or 6th round. I’ve written before about my 3 keeper league. 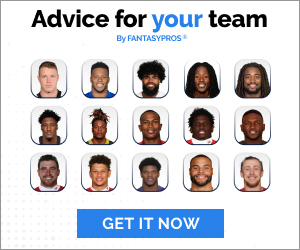 It is hosted on ESPN, and the mock draft functionality there is fine, but I prefer the tools on my partner site fantasypros.com. I’ve participated in a few live mock drafts there with other users and got a sense of which players get taken early. It helped me gauge who my keeper picks should be for my own league. Seeing who other humans choose can give you some insight on how your league opponents might behave in the draft. In order to mock more closely to what my league draft will be like with my keepers, I used their mock draft simulator. Their tools allow me to import my ESPN league. 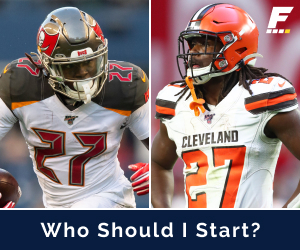 I could also set my keepers: Alvin Kamara, Devonta Freeman, and Alex Collins. I considered keeping DeShaun Watson. After participating in the live and simulated drafts however, I realized that I could pick him up in a later round. The draft analysis gave me a B- grade and a season rank of 7th place. This makes me wonder if my keeper strategy is going to give me strong enough RBs. I should let a few go and take my chances in rounds 2 and 3. I will definitely run it a few more times, since the simulator automates and zips past the opponent picks, versus a live draft. Using the simulator, I’m not waiting for other people like me to read about the players on every pick. This can take a while in 14 rounds. Both the automated and live drafts are helpful, even for a ‘veteran’ fantasy player of two whole years like me. I should be able to go into the season satisfied with the players I draft. Hopefully I can avoid the busts, and pick up a few sleepers. Previous PostPrevious Who should be my three keepers from 2017?